The GDP growth rate of 18 areas surpassed the national growth rate of 6.6 percent in 2018, Economic View reported on Thursday. Southwest China's Tibet autonomous region recorded the fastest GDP growth at 10 percent last year, followed by Southwest China's Guizhou province at 9.1 percent. The growth rates of Beijing, Shanghai and North China's Hebei province were the same with the national level of 6.6 percent. The economic growth rate in eastern and central China was stable in the past year and the growth rate in western China has continued to take a leading role in GDP growth rate nationwide. Total amounts of the country's GDP for the first time surpassed 90 trillion yuan ($13.41 trillion), reaching 90.03 trillion yuan in 2018. 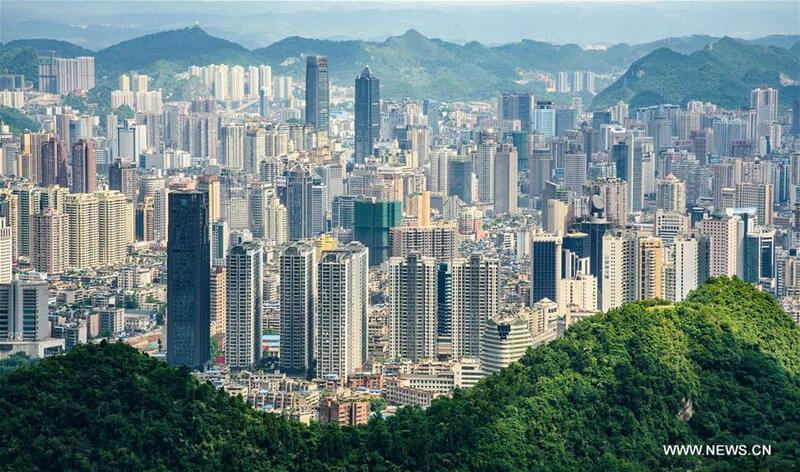 South China's Guangdong province lead total GDP amount list, with 9.73 trillion yuan and East China's Jiangsu province ranked the second with 9.26 trillion yuan. East China's Shandong province and Zhejiang province took the third and fourth spots in total amount of GDP, with 7.65 trillion yuan and 5.62 trillion yuan, respectively. Beijing's GDP reached 3.03 trillion yuan, making it the second city with over 3 trillion yuan GDP, following Shanghai, which grabbed the 11th spot on total amount GDP list.